The news quickly spread over the weekend about a very low-key, and quite astonishing, release that took place on Friday (November 27th). 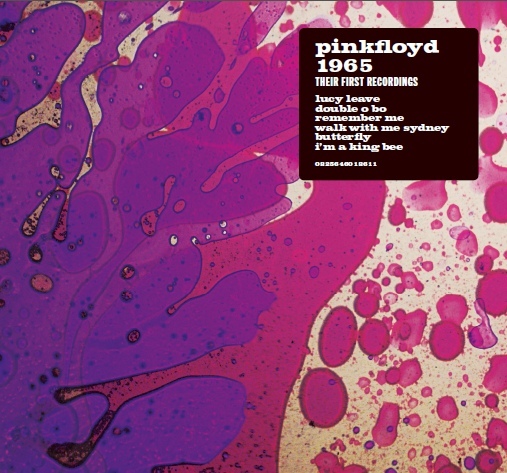 Pink Floyd 1965 - Their First Recordings was a very limited issue of just over 1000 copies (1050 to be exact) on two 7" singles, in a gatefold sleeve, available from selected record stores around the world. Contrary to some of the comments online, this was NOT part of the limited number of Record Store Day releases which were also in the same stores on Friday. The records have, for the first time, released six tracks officially. The first and last track have been bootlegged previously, but have never been heard in this sort of quality. The tracks also include Rado Klose on guitar - still a member of the band in those days - and Juliette Gale providing vocals on Walk With Me Sydney. If you've already heard the first and last tracks that gives a decent idea what the rest of songs are like, in style and performance. Obviously there are many fans hoping that this release is just the precursor to something to come in the future, and speculation has already started going by the incredible reaction to this that we've already seen! From an official standpoint, the band's Facebook page has noted that "Pink Floyd hope to make them available in some physical form towards the end of next year" which is excellent news!